Belarus is refusing to extradite the Kyrgyz ousted president Kurmanbek Bakiyev, said Pyotr Kiselev, head of Department of Information and Public Relations of local General Prosecutor's Office. 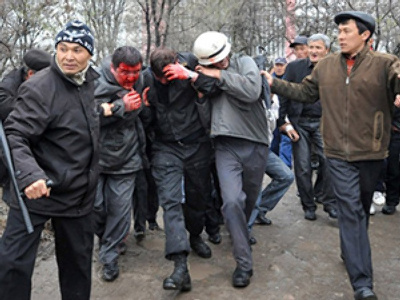 Clashes and violent protests against President Kurmanbek Bakiyev and his policies hit Kyrgyzstan on 6-7 April, 2010. As a result, 82 people died and the opposition came to power. Bakiyev left for the south of the country and then fled to Kazakhstan. Since 20 April he has been in Belarus. 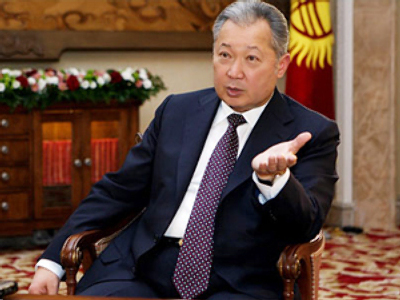 The Kyrgyz Prosecutor General’s office sent documents to Minsk with a demand to extradite Bakiyev, charging the ousted president in absentia of mass killings, polygamy, and corruption, prompted by the interim government and some human rights groups in the country. 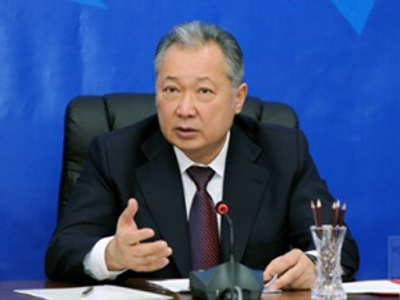 Bakiyev was stripped of his presidential immunity status by the interim government. Meanwhile, on 14 June his son, Maksim Bakiyev, was arrested in Britain. He was on the list of those wanted by Interpol. The operation was held by a UK border agency. Maksim sought political asylum there. The head of the interim government, Roza Otunbaeva, thinks that Kurmanbek Bakiyev's family is behind the recent clashes in the country. “We have no doubt that Bakiyevs are involved in the events in the south”, she said during the news-conference on Tuesday. She stressed that the recently published conversation between Bakiyev’s son and Bakiyev’s brother is proof. According to this recording, they were talking about the possible scenario of an uprising in Kyrgyzstan. Particularly, they were planning to bring to power “their people”. They also mentioned during the conversation that the number of victims could be higher than the number of people who died on 7, April. The plan was to be proposed to Kurmanbek, though he answered that he doesn’t want any victims. Peter Zalmayev, an expert in post-communist states and Central Asia, and Director of the Eurasia Democracy Initiative in New York also sees in the clashes in the south of Kyrgyzstan the work of Bakiyev’s family.